I cherish the relationships I have with the people in my life more than anything. As a PR girl, I’m naturally a “people person”. I love my family, my friends, and even the people that have quickly come and go. Every single person has taught me something, and I can confidently say that the people in my life have made me the person I am today. Not only does this go for my loved ones, but it also goes for the people I have encountered in the workplace. I’ve held numerous internships in the public relations field, and not once have I had a bad experience. Some may call that luck, but I don’t think that’s it. I think it’s because of the inspiring, hard-working, driven people I’ve worked with during my experiences. I’ve made some great friends during my internships, which is something I expected. However, what I did not expect was to develop such close relationships with my bosses. From here on out, I won’t be using the term “bosses” because that doesn’t give an accurate depiction of who they are in my eyes. Personally, the term “boss” is daunting to me, and that’s the last word I’d use to describe them. They were mentors – and they still continue to be my mentors. Mentors are people in our lives that guide us and have faith in us. They are honest and experienced at advising us in our daily lives. My mentors did all of the above and more. Last semester, I interned in a public relations agency right here in Boston and learned so much from my two mentors. In fact, the agency referred to every intern’s direct manager as a “mentor”. This stuck with me and made me eager to apply to the internship program. My mentors guided me in my daily tasks and had faith in me to produce great work. As I became comfortable with daily tasks, such as updating media lists and coordinating blogger mailings, they assigned me with more challenging tasks. I quickly began to write press releases, compile coverage reports, and pitch to reporters on the phone. Their trust in me was so uplifting and made me feel like I could go to them for anything. If I had questions, whether about an assignment or about public relations in general, they were always so eager to respond and teach me new things. I could say the same for my internship this past summer as well. I still keep in touch with all my mentors because I became so close with them and truly developed lifelong relationships. I have this new found level of confidence and know I can go to them for career advice or any sort of advice in general. I think having mentors like these in the workplace is so powerful in enhancing a company culture. Aside from interns, everyone should have a mentor to go to for advice and guidance. I’ve grown so much in my public relations career through their guidance. They’ve taught me to contribute my ideas in the workplace whenever I can and to not be scared of trying new things. They’ve also given me so much advice as to how to have a successful career in public relations. I think many people underestimate the power of a mentor in a person’s life, and that shouldn’t be the case. Mentors have the ability to uplift others, whether in the workplace or not. 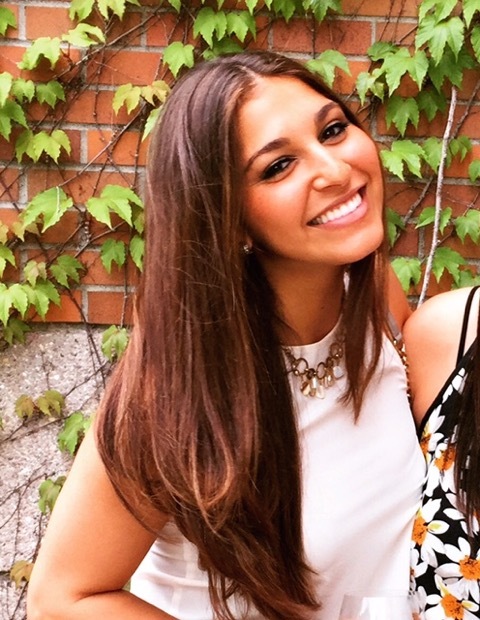 Marisa Symeonides is a senior at Boston University studying Public Relations in the College of Communication. She is from New Jersey and hopes to pursue a career in the Communications field in New York City after graduating in May 2016. She has a strong passion for writing, fitness, healthy eating, and spending time with her family and friends. She writes a delicious blog called Smitten with Chocolate, and it’s all about chocolate! I just want to tell you that I am all new to blogging and site-building and honestly enjoyed your web-site. Almost certainly I’m going to bookmark your website . You amazingly have superb stories. Thank you for revealing your web page.